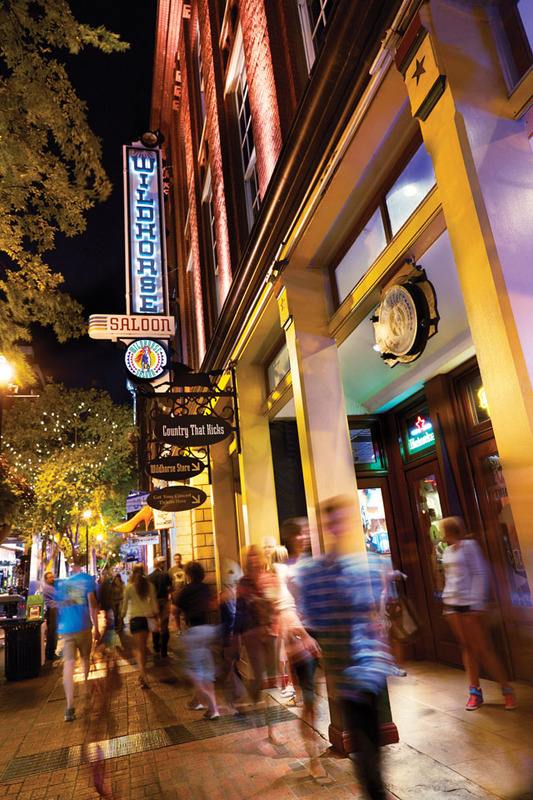 Based in Nashville, Ryman Hospitality Properties—formerly Gaylord Entertainment Company—continues to make a bold imprint on Music City. Its 2,886-room Gaylord Opryland Resort & Convention Center and iconic portfolio of entertainment assets welcome millions of convention guests and tourists from across the country and around the world to Nashville each year. 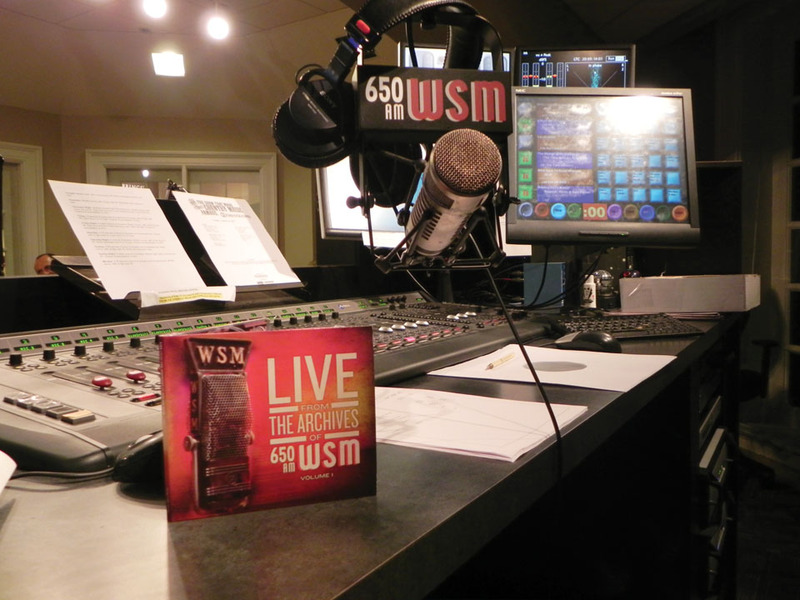 Those who tuned their radios to AM station WSM in Nashville on October 5, 1925 had the rare pleasure of being part of entertainment history in the making. They were listening to the inaugural broadcast of station WSM by National Life and Accident Insurance Company whose call letters reflected National Life’s motto (“We Shield Millions”). More importantly, however, it was just a few weeks later that the “WSM Barn Dance,” a live show and radio program, first hit the airwaves. The WSM Barn Dance morphed into what would come to be known as the Grand Ole Opry, the show that helped launch the careers of hundreds of country music superstars and cemented Nashville’s position as “Music City USA.” Today the Opry continues to showcase the new stars, superstars, and legends of country music on its renowned flagship radio station 650 AM WSM as well as worldwide via the Internet and mobile apps. 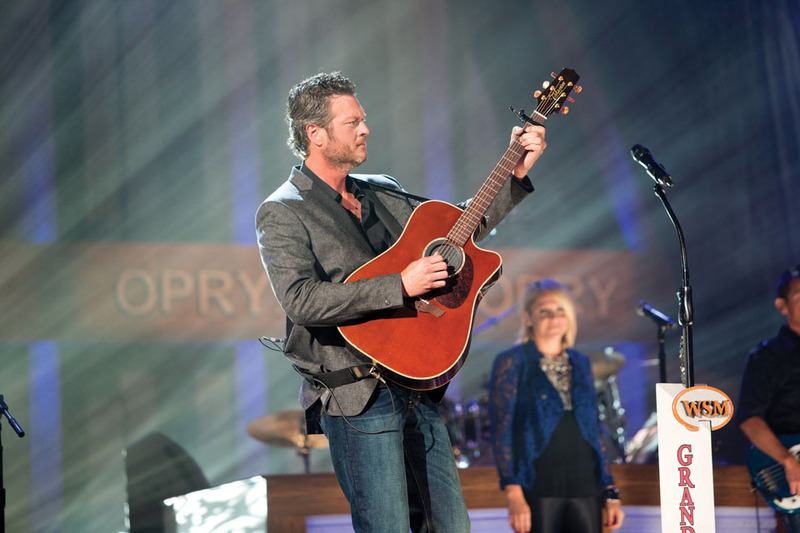 The Opry called numerous places its home over the years, including the world-famous Ryman Auditorium. 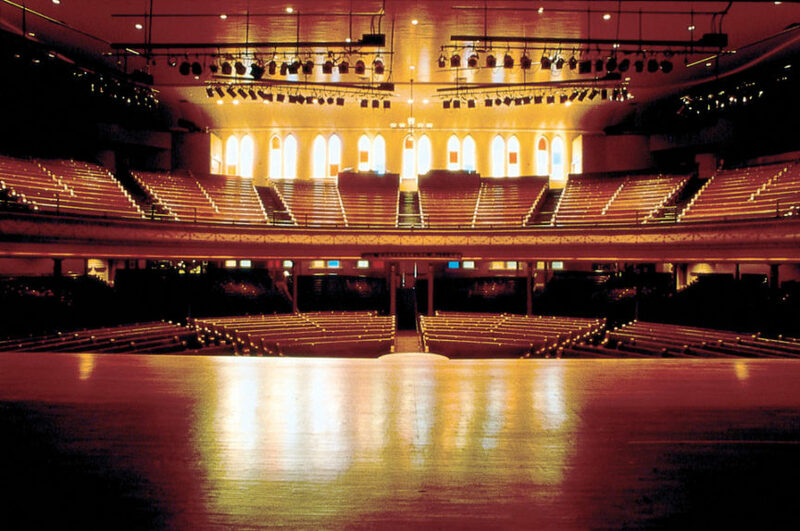 Built in 1892 as the Union Gospel Tabernacle and considered the “Mother Church of Country Music,” Ryman Auditorium hosted the Opry from 1943 to 1974. The storied venue has been called one of the most acoustically perfect concert halls in the world. While the Opry moved to the Grand Ole Opry House in 1974, Ryman Auditorium continues to host hundreds of nighttime concerts and performances in addition to welcoming visitors on tours of the building to see its museum-quality exhibits and learn about its magnificent past. Built as a hotel for overnight visitors who were coming for the Grand Ole Opry, Gaylord Opryland first opened in 1977 with 600 guestrooms. The hotel was so popular that it underwent subsequent expansions throughout the 80s and 90s. Today, Gaylord Opryland is the largest non-gaming hotel in the continental United States. The resort boasts nearly 3,000 guestrooms, 700,000 square feet of meeting space and nine acres of indoor gardens. Gaylord Opryland’s hallmark “everything in one place” concept provides guests with diverse dining options, quality spa and fitness center services, top-notch entertainment, on-site shopping and endless activities. The resort’s atrium areas are kept between 68-72 degrees Fahrenheit year round. 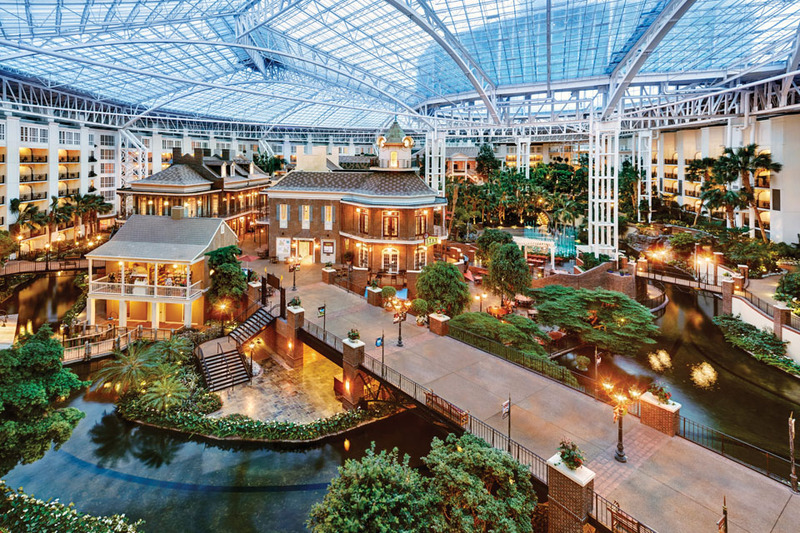 The largest atrium is 4.5 acres and features a quarter-mile-long indoor river, a nightly fountain show and the hotel’s signature restaurant—Old Hickory Steakhouse. The Inn at Opryland, located across the street from the resort offers 303 guestrooms and approximately 15,000 square feet of meeting space. Voted by Golf Week magazine as one of the “Best Places to Play in Tennessee”, Gaylord Springs boasts 18 challenging holes designed by former U.S. Open and PGA champion Larry Nelson. A short drive from Gaylord Opryland, Gaylord Springs is a beautiful Scottish links-style course tucked in the bend of the Cumberland River. Steps from Gaylord Opryland and the Grand Ole Opry House is the dock of the General Jackson Showboat. This 300-foot paddlewheel riverboat is one of the largest showboats in the country. 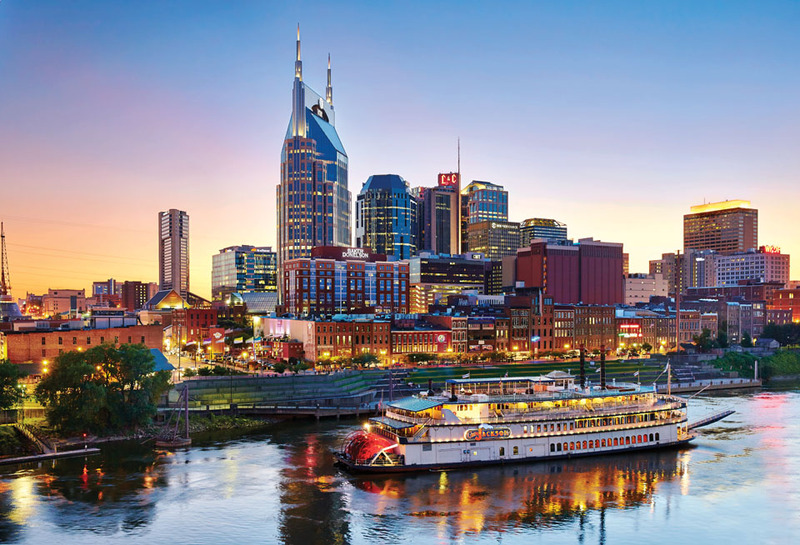 The boat has cruised up and down the Cumberland River thousands of times since 1985, providing Nashville natives and visitors stunning, river-view vantage points and a high-energy musical show in its two-story Victorian theater. On June 1, 1994, the world-famous Wildhorse Saloon celebrated its opening by stampeding a herd of cattle down Second Avenue past the front doors of the newly-opened venue. Since then, the Wildhorse has continued to capture the hearts of visitors with its award-winning barbecue, live entertainment, line dancing on the largest dance floor in town, unique atmosphere and one-of-a-kind private parties.